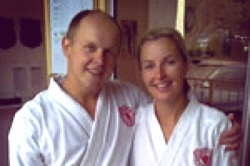 Here is another success story from one of our valued Sunshine Coast Karate members. 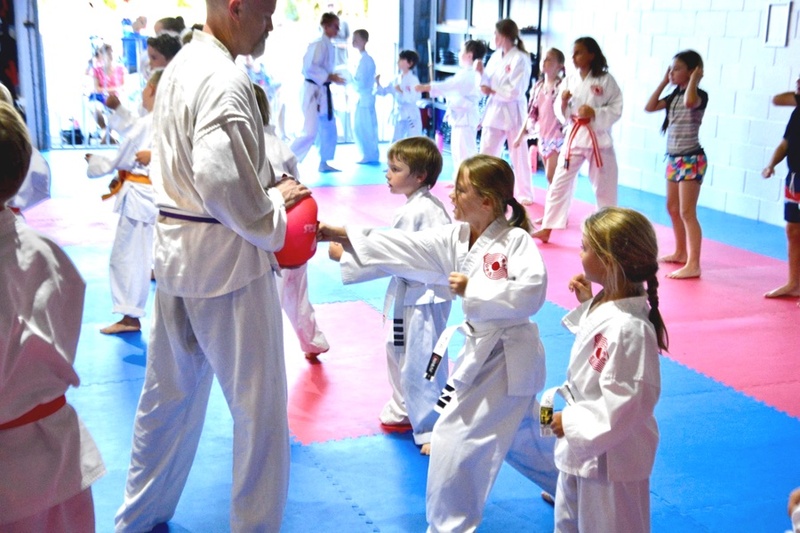 Kimberley has picked up her martial arts training program at Sunshine Coast Karate and ‘run’. In a very short amount of time Kimberley has progressed quite quickly through the beginner levels of Chito-Ryu Karate at Sunshine Coast Karate and continues to inspire many of us to push ourselves that bit more and to see what we can really get out of ourselves. “I started martial arts training at the Maroochydore dojo about 4 weeks ago and have really enjoyed every moment of it. I have always been an active person but have found myself doing mostly solitary fitness until now. I found that some days running alone or cycling became a chore and I began to feel the need for a more social sport with more challenges. My partner had been a member at this dojo for a few months and suggested I come for a few trial sessions to see if it was for me. I was immediately impressed by the friendly warm welcome I received and was further enthused by the level of discipline, respect and professionalism displayed not only by the teachers but by each of the students. I feel very comfortable when training at the Maroochydore dojo. It is very interactive and all participants are treated equally with respect. The training sessions cater for all levels at once so you can see at hand the standard that is required for each grade. It seems that everyone is willing to help guide and encourage each others progress. My fitness has already improved by a mile. In my previous exercise regime of running, swimming, hiking and cycling I found that my body was well conditioned for those sports in particular but there were certain areas that I just wasn’t working on such as flexibility and anaerobic fitness. Karate seems to challenge every aspect of fitness completely. I have always been reasonably inflexible which I believe has been a contributing factor to a chronic pain problem in my lower back. Since starting karate I have become more relaxed and flexible in certain areas which have helped with my back problems. Above all else, my mind is clearer and I generally feel more peaceful and mentally intact since being introduced to karate at this dojo. Whilst I am training I am focusing on just that, which allows me to take my mind off my sometimes stressful job. 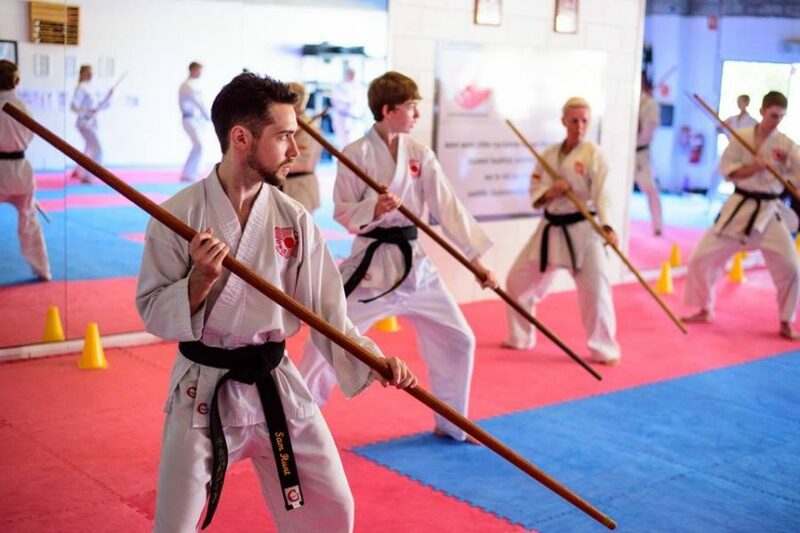 I have been taught that the important mental components of karate such as focus, determination, relaxation, reflection and confidence can all be applied to everyday life and make a big difference to how I approach life’s challenges. Since my partner Rob started karate I have noticed a huge positive change in his demeanour. In the past his job left him stressed and sometimes unhappy but now he has another focus and is much happier and has a more positive outlook. Karate also gives us a chance to spend more time together (which is usually hard because we are both shift workers) and we both have a lot of fun whilst training together. Overall, I am very happy that I made the choice to be a part of this dojo. In the 4 weeks that I have been involved I have already noticed a big improvement in my fitness, my mind and my personal relationships. Thank you to Kimberley for taking the time to share her experiences at Sunshine Coast Karate. 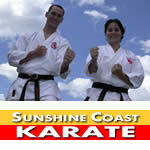 For more information about Sunshine Coast Karate please contact Martin & Sandra on 0435 255 323.